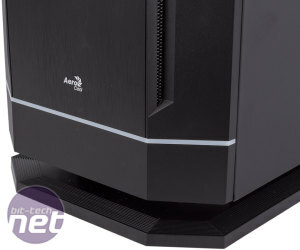 It's been over a year since we saw an Aerocool chassis on these pages, but we noted when reviewing the Aero-1000 that the case was a step in the right direction for a company that didn't have the best reputation amongst enthusiasts. As such, we were keen to take a look at the DS 230. 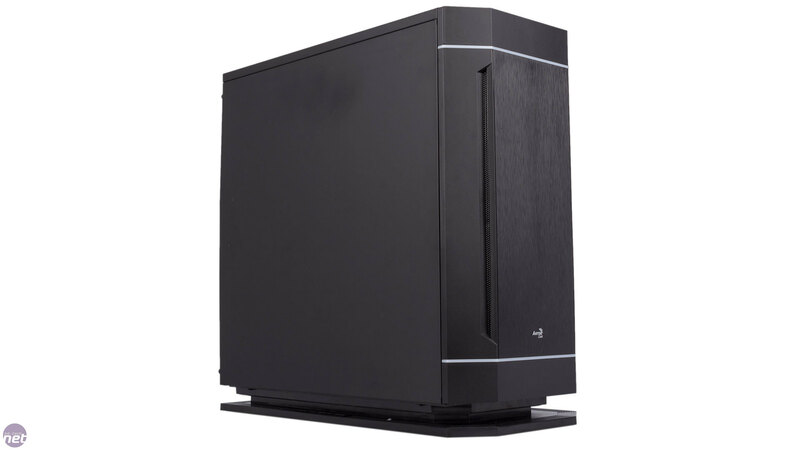 DS stands for Dead Silence, indicating that this is a case built to quash system noise – let's see how it does. 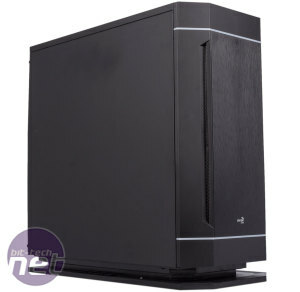 The DS 230, aesthetically, initially appears to follow the trend set by Fractal Design with its Define Series of cases in being rather plain with flat, featureless, black panels. 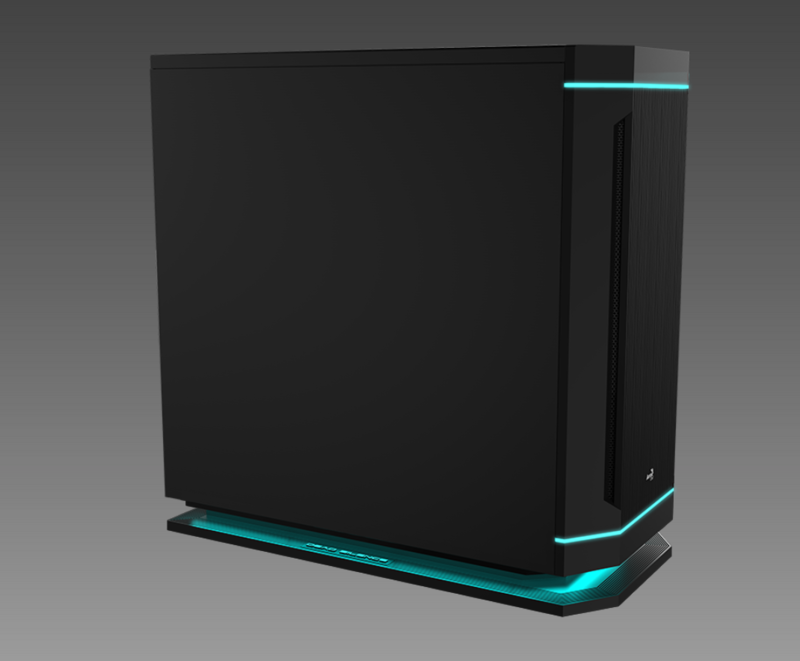 However, the case is actually kitted out with a fair amount of RGB lighting to spruce it up a bit – those two horizontal strips at the front are backlit, and there's also a soft underglow in the bottom hollowed out section. 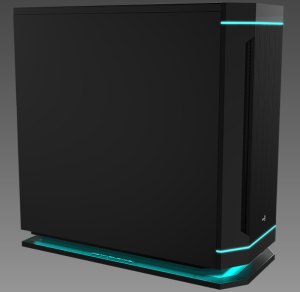 You choose from seven colours using a button up top, or you can set it to PWM Mode which changes the colour of the LED based on how fast your fans are spinning. A second button lets you set the mode: on, off or breathing. We found the effect to be pleasant rather than garish or overpowering. The chassis feels pretty robust overall – the steel panels are a particular highlight, and even the plastic front panel is solid where it needs to be. 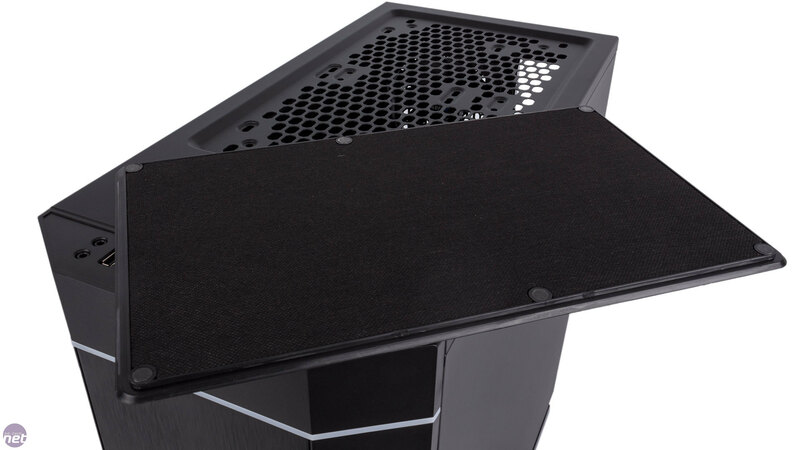 On the roof, there's a plastic cover for the fan mounts that attached magnetically, and this too impresses with its thickness and strength. There's a brushed metal finish on the front while a matt finish adorns the remainder of the case, although we found that this was quite easy to mark through general handling. 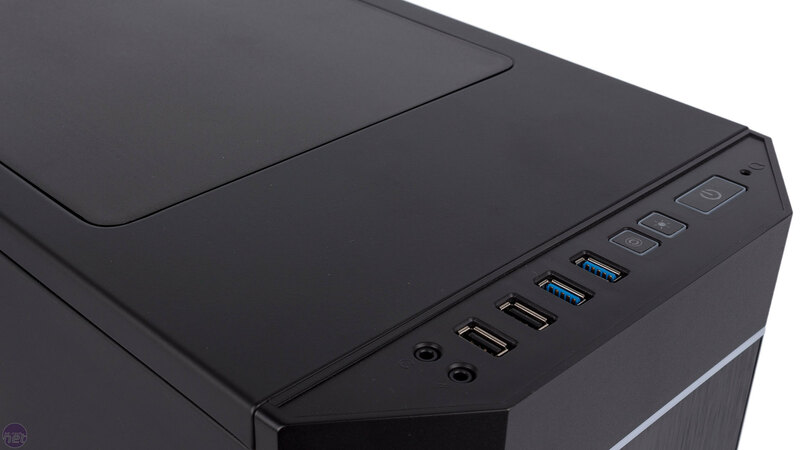 With dual USB 2.0 and dual USB 3.0 ports, you're well covered here. The I/O panel also has the standard pair of audio jacks. The LED buttons and power button, however, all appear to be a single mechanism – pushing one will see the others depress slightly – which feels cheap, and we're not keen on the tiny reset button that needs a pen something to press. 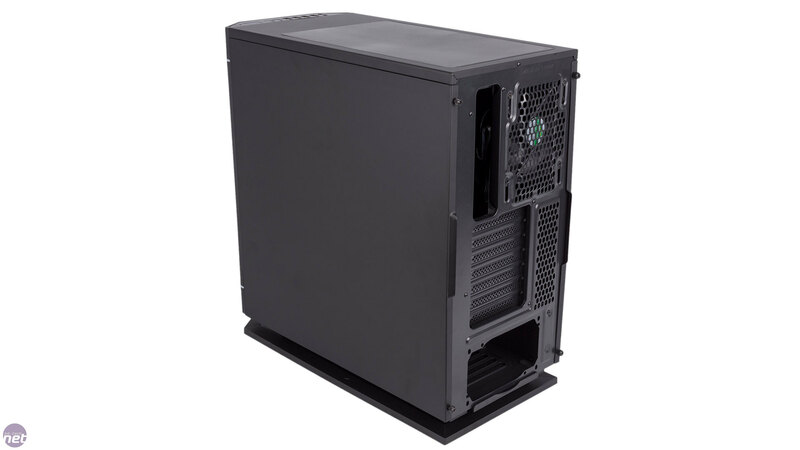 Built to contain noise, it's unsurprising the DS 230 has very little ventilation by default. 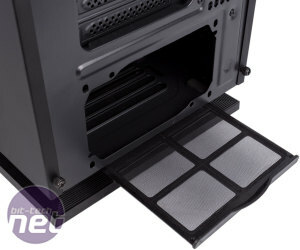 There's a tiny pair of vented strips running down the front panel, as well as a hole underneath it to let air in, but that's about it. 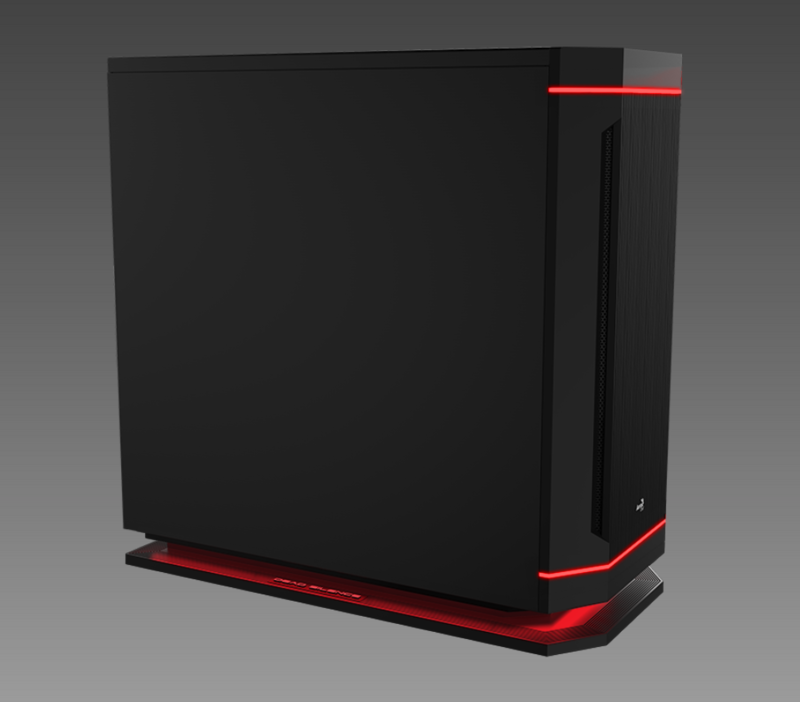 Even so, two 140mm or three 120mm fans can be installed up front. Up top, once the roof cover is removed, there's lots of ventilation and room for a pair of 140mm or 120mm fans. However, the only fan mount that actually comes filled is the rear 120mm exhaust one. 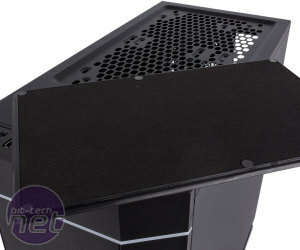 One thing we think should have been included is a dust filter for the roof as once the cover is off it feels fairly exposed. 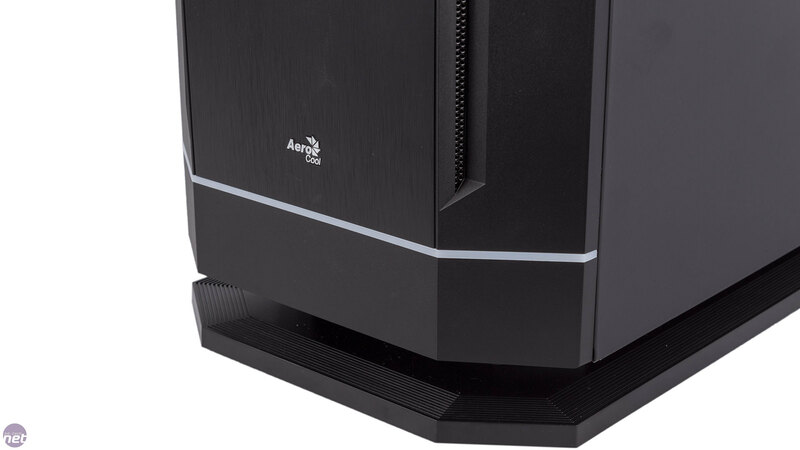 Even if you're using two fans here, dust could still fall in quite easily when the system is off. Also, removing the roof cover and not installing fans is an easy way of improving CPU cooling passively, since heat naturally rises, but we wouldn't recommend it without a filter. Thankfully, the front fan mounts and the PSU are protected. 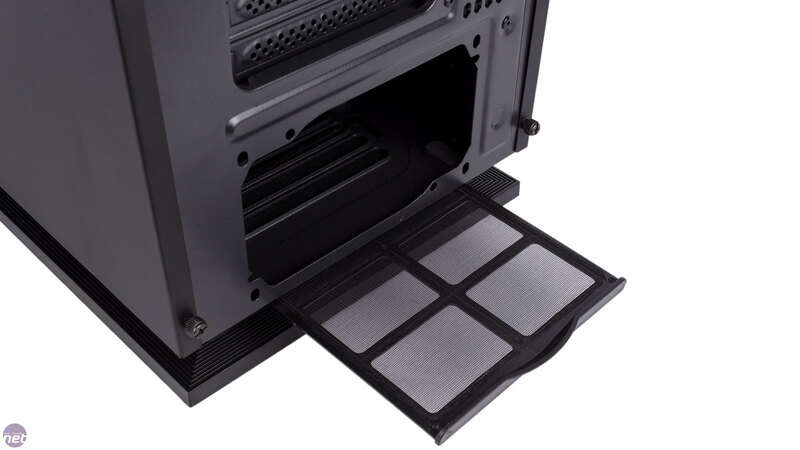 Getting to the front filter is a pain, however, and we mean that literally – you need to pull the front panel off and it requires a serious tug to come away, but the edges around the hole that you grip are sharp. This is not a nice combination, as our fingers can attest to. Annoyingly, the panel doesn't come away cleanly either, instead trying to drag all the I/O cables with it. 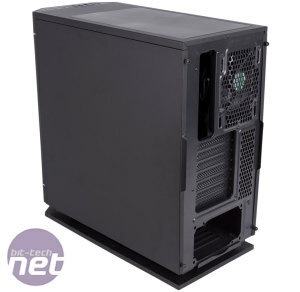 Still, the filter for the PSU is extremely easy to use as there's a small handle to slide it out and it realigns very easily when replacing it. 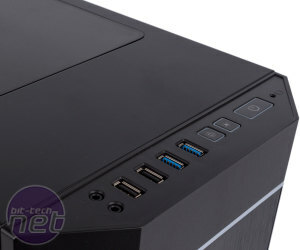 With an eye-catching design, a bundled RGB control hub, and a tempered glass panel, is the £110 P7-C1 Pro a solid purchase?